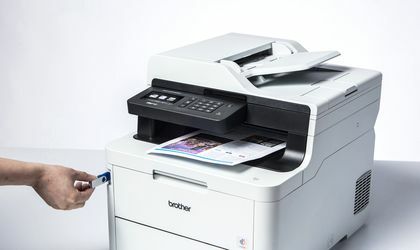 Brother launches a new generation of L3000 color LED equipment with the main specifications: print speed up to 24 ppm, low noise level at 47dB, increased connectivity and a wide range of supplies. The range is composed of two MFC-L3770CDW and MFC-L3730CDN multifunction printers, two DCP-L3550CDW 3-in-1 DCP-L3510CDW and two HL-L3270CDW and HL-L3210CW printers. Adapted to the new user requirements, the six SOHO range products combine the high level of functionality with the need to work uninterruptedly, but also in terms of cost-adapted workloads. The top models MFC-L3770CDW and HL-L3270CDW, with a print speed of 24 pages per minute, operate at a level of 47dB, and the other four models operate at a level of 45dB with a print speed of 18 pages per minute. 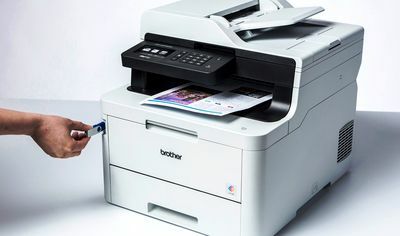 Industry standards specify a maximum of 50 decibels to be considered as a quiet, standard work environment, well respected by the new Brother series of printers. Connection types of devices start from wired network connectivity for the MFC-L3730CDN, wireless connectivity for all other models and NFC mobile connectivity for the MFC-L3770CDW multifunctional. All L3000 LEDs have a 250-sheet input tray, most of them have automatic duplex printing, and multifunctionals have a 50-sheet ADF, ensuring long-lasting operation without interruption. Consumables for the range come in three variants, standard toner capacity of 1000 pages for each color – TN243BK / C / M / Y, high toner capacity – TN247BK 3000 pages and cyan, magenta, yellow TN247C / M / Y of 2300 pages each or the special package containing both black and standard toner, but at a special recommended price of 989 lei. The equipment is simple to install and use, with color touchscreen up to 9.3cm in most models, 512Mb to multifunction memory, and 256Mb to printers with 800MHz processor on all models.